Sep 08 2013: Pfft! That's FutureGene's problem! "Are you sure you want to go back? ", I asked Neda. "Yes. Are you sure? ", she replied. "Yes. Really sure? ", I asked again. 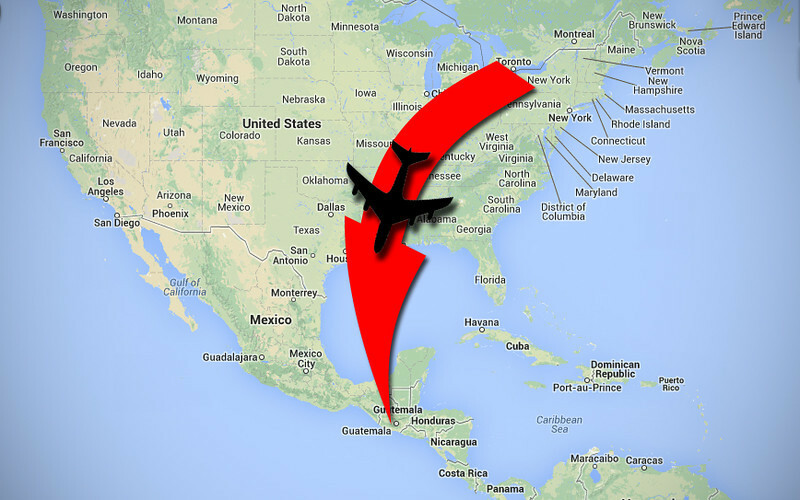 The answer was moot because at that moment United Airlines Flight 1502 was readying for a late night landing in Guatemala City. Water streaked past the airplane's window as I looked down at the city lights blinking through the fog and heavy clouds covering the capital city. 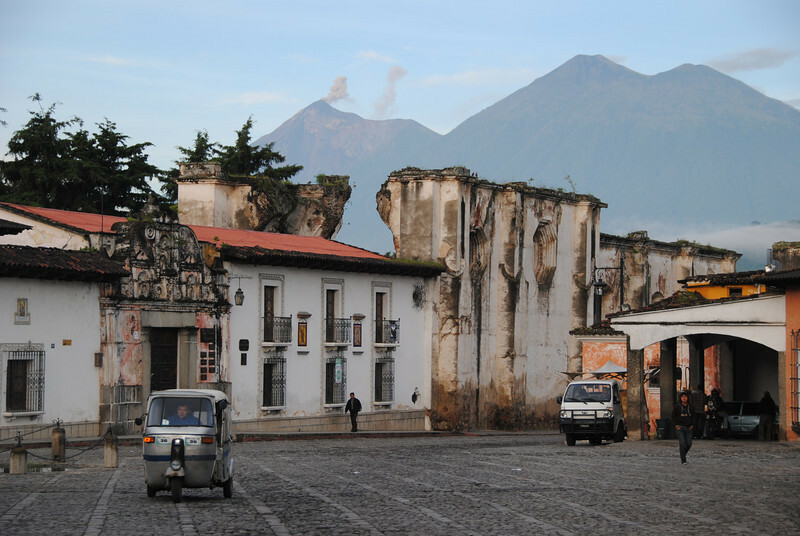 During the cab ride to Antigua, I experienced a bit of culture shock. All the Spanish I had very slowly built up over our trip had quickly dissolved in the past two months in Toronto. Neda appeared not to have skipped even a beat, conversing with the cab driver as fluently as if she had never left. I sank lower into my seat and watched more light rain collect on my window. We had arranged a stay with Miwa and Kohei, the Japanese couple we met in Antigua before we left. 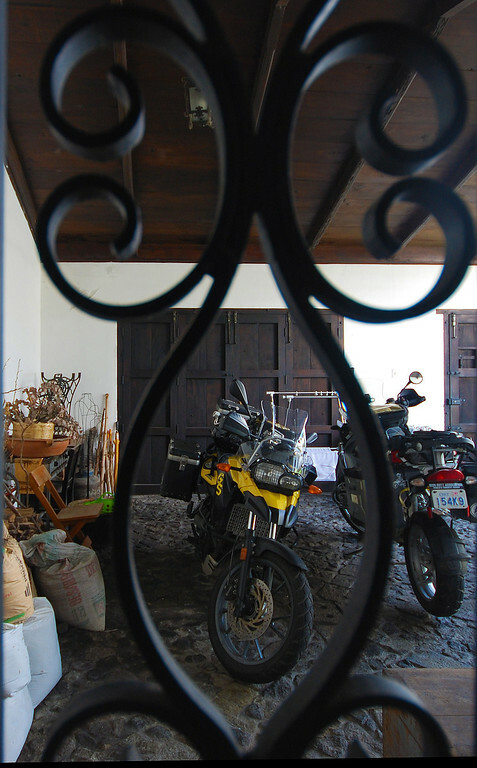 The first day back, the rain poured and poured and we played e-mail tag with Julio, to arrange to pick up our motorcycles from his place. 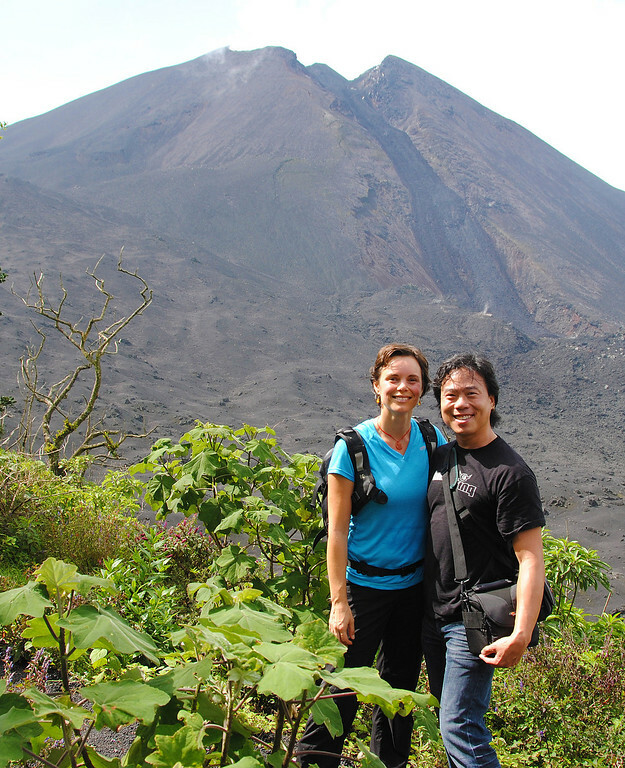 While he was away in Guatemala City, we decided to break out of our listlessness and book a guided hike up to the Volcan de Pacaya, a very active volcano just outside of town. Made it to the top. And no horses were involved! 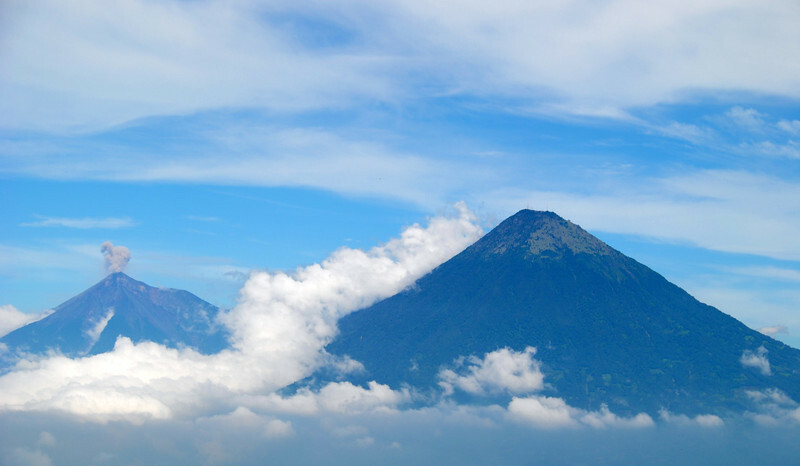 Given my poor performance on the hike up to Pacaya, I've made a few resolutions for our trip. My resolution for this week is to eat more healthily and try to lose some weight. "What's for dinner, Neda?" 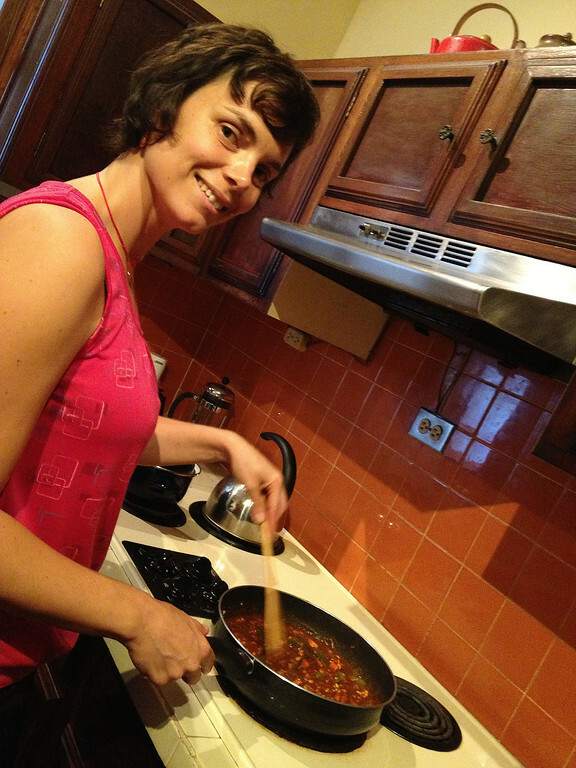 "A Guatemalan dish called Pepian!" My resolution for next week is to eat more healthily and to try to lose some weight. Pepian is a chicken dish served with a chili sauce similar to Mexican mole but with added squash and sesame seeds. It was delicious! Outside in the streets of Antigua, we saw stalls being set up while performers played indigenous instruments on a stage. All over town, people are practicing playing music and performing with batons and there are fireworks every night. 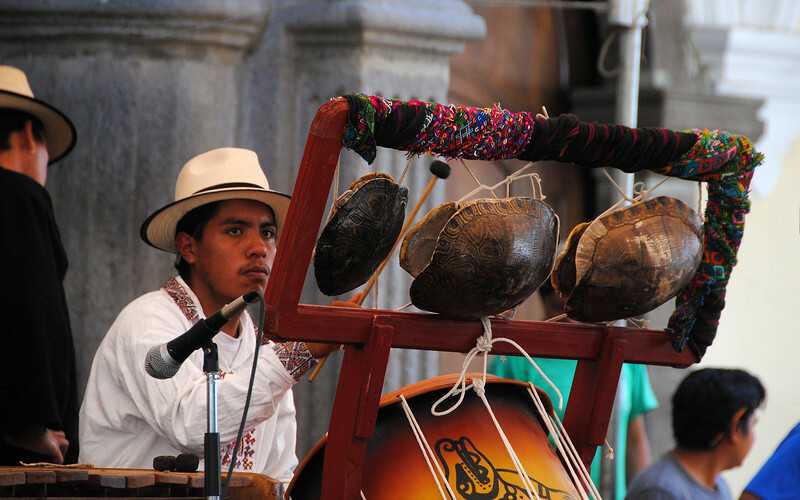 The whole country is preparing for the Guatemalan Independence Day - September 15th. Can't wait to see that! Mother Nature also decided to join the celebrations by throwing us a 6.5 magnitude earthquake that evening! I was lying in bed reading my Kindle (World War Z - terrific book!) when suddenly the mattress started to shake like it was made of jello. I immediately knew it was an earthquake, but I was so stupid not to get up and go somewhere safe, namely outside where there wasn't any roof or walls to crush me. The quake lasted 45 seconds and it felt like it was never going to stop. In nearby San Marcos, closer to the epicentre, dozens of people were injured in traffic accidents as they fled their homes. Mental note: don't run out into traffic as I'm trying to escape an earthquake. Seems we are magnets for natural disasters everywhere we go: Hurricanes in Alaska, earthquakes in California, torrential flooding in Toronto. We'll be posting our itinerary for the next little while so everyone can plan where *NOT* to go for their future vacations. 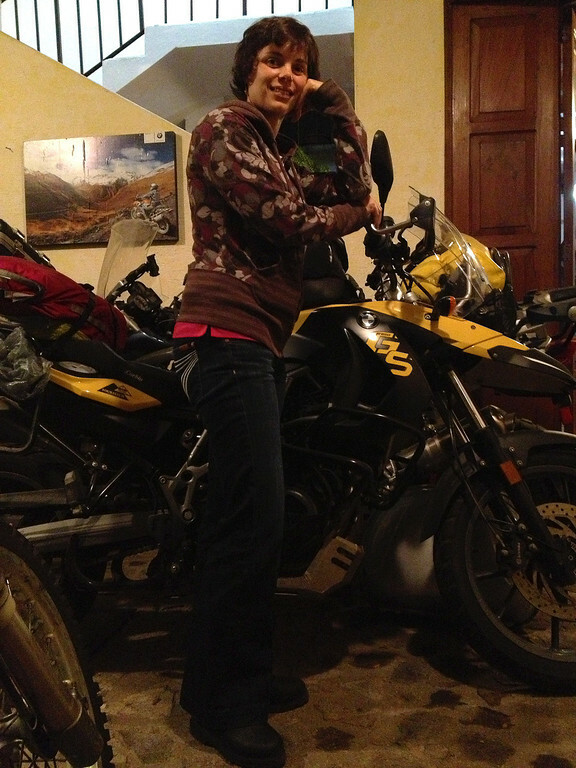 The next evening, we dropped by Julio and Luisa's house to pick up our motorcycles. After getting everything packed on the motorcycles and all our gear on, we turned the key and... no lights. No ignition. Our batteries were completely dead. Then it came back to me. Back in June, while storing the bikes away, I asked myself, "Should I disconnect the batteries? Pffft! That's FutureGene's problem". FutureGene is pissed at how many screws it takes to get to the F650GS's battery! We had to abandon the bikes again. 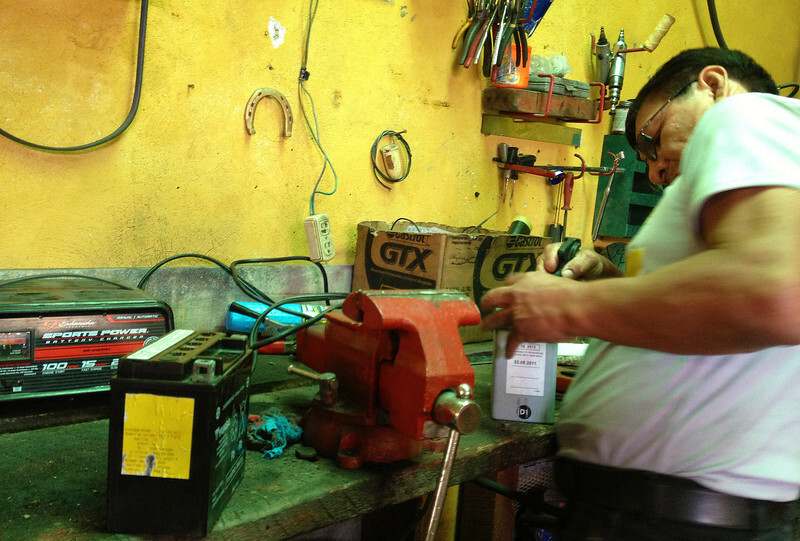 The next day, we walked to El Gato, a local mechanic who recharged both our batteries. Seemed all the liquid had boiled off and had to be topped up with distilled water. Not good. El Gato (The Cat) looks like a Guatemalan Charles Bronson. Only he smiles more. He plays up the resemblance as well, pictures of the real Charles Bronson adorn the walls behind him! Charles Bronson charges up our batteries! So the batteries are charged, installed and the bikes turn over with a bit of an old man's cough. 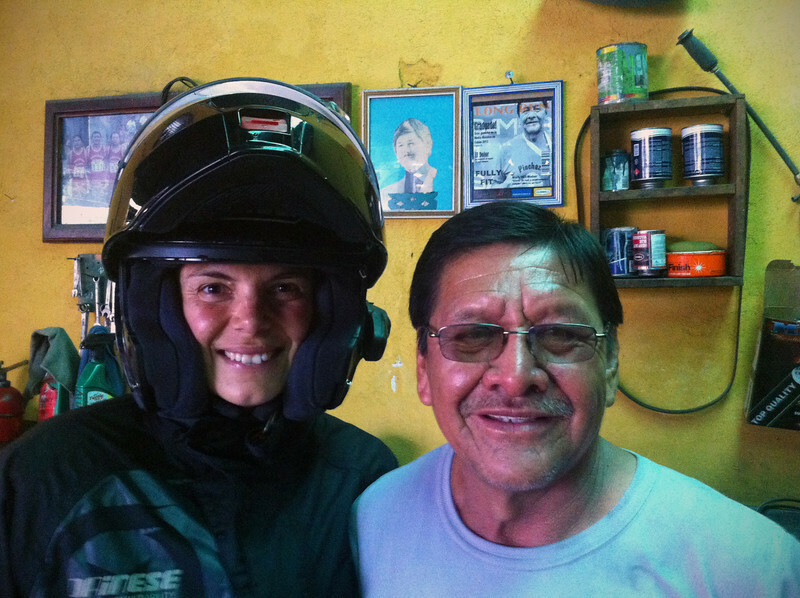 Julio points out that our rear tires have no tread left and are unsuited for Central America's rainy season roads. I had a whole month in June to change them out, but again... FutureGene's problem. At least we have our bikes back. Despite the long prep time it's going to take before we can set off, I'm actually feeling a lot better than when I first did when we got here. This morning, I did a walkaround about our motorcycles and I was reminded of all the places that they've taken us. I'm looking forward to our travels. "What's for dinner, Neda?" 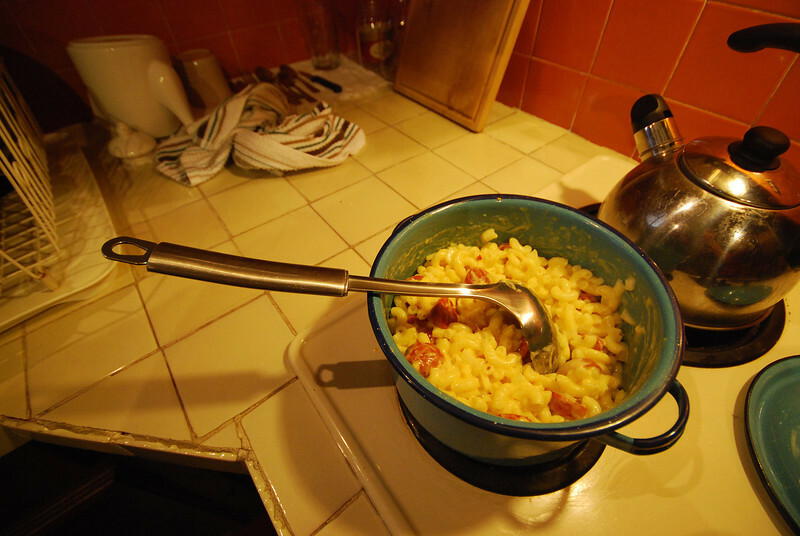 "Homemade mac and cheese!"